It's been a while since I spent some proper time with the camera at Brimham Rocks - but a foggy dawn earlier this week saw the perfect excuse for a return. Some of you may have read a blog from last year, when I finally felt I'd found a way to do justice to this very special place - if not, you can see that blog here. 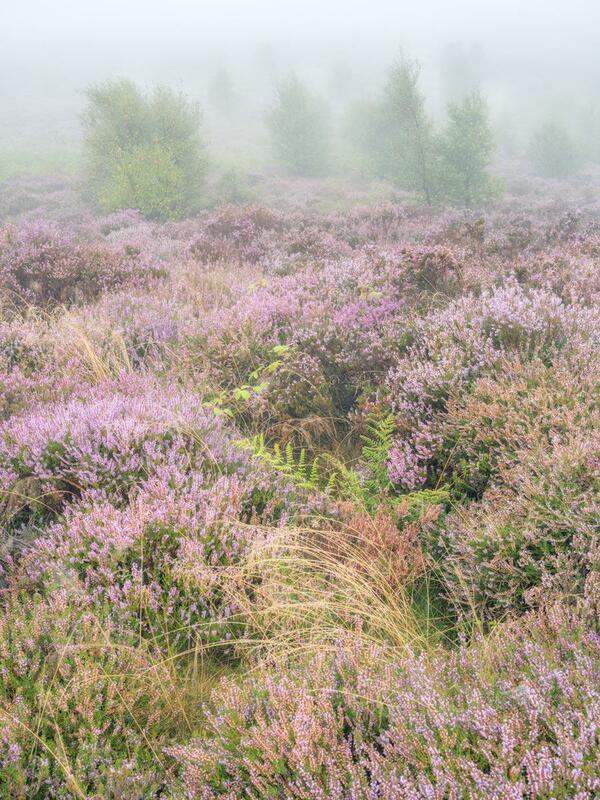 This time, it was all about the amazing display of heather - that, and of course that perfect mix of fog and dew - conditions I knew would let me create the sort of pictures that give some sense of the character of the place and what I find special here. 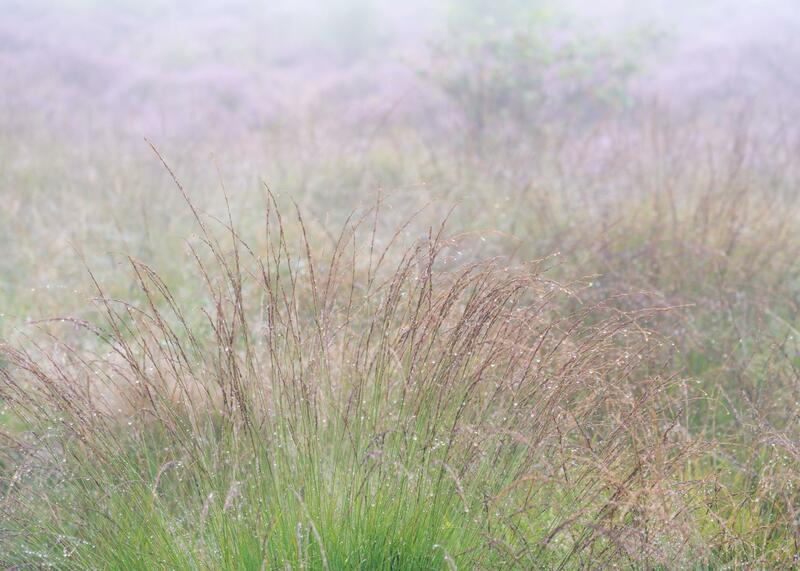 I was relieved to find that the forecast was accurate and, arriving at Brimham just before sunrise, there was a good covering of fog and plenty of dew laden grasses. I knew seeing the actual sun rise was not on the agenda - but strong light was not what I wanted nor needed. 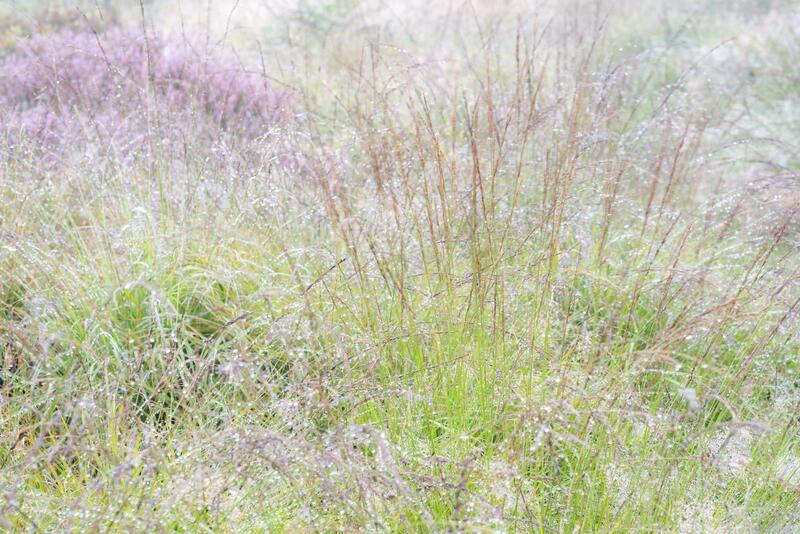 I started off by working on a few miniature landscapes of small sections of heather and grass - the soft, foggy light and the heavy dew made the ground view irresistible. 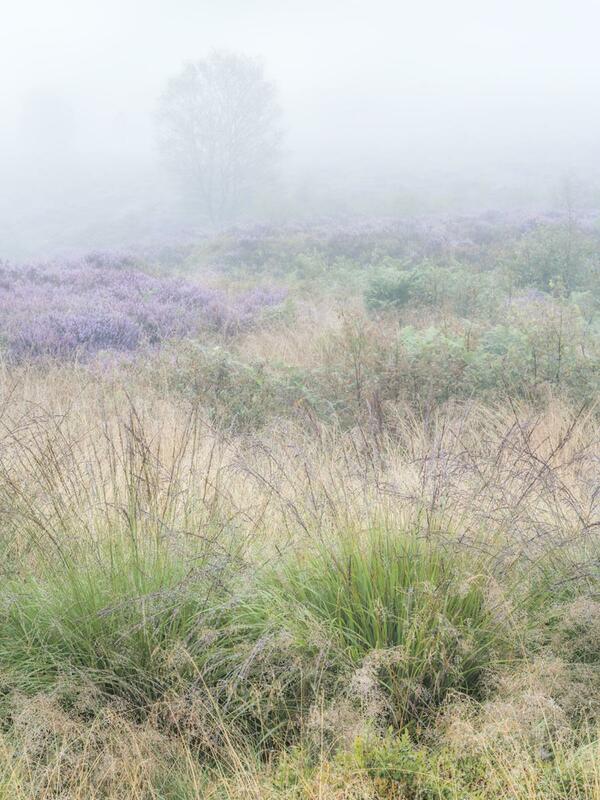 It was now time to progress to a slightly wider view and look for compositions where I could combine grasses, ferns and heather with the little birch trees that sprout all over the moor here. There were plenty to choose from! 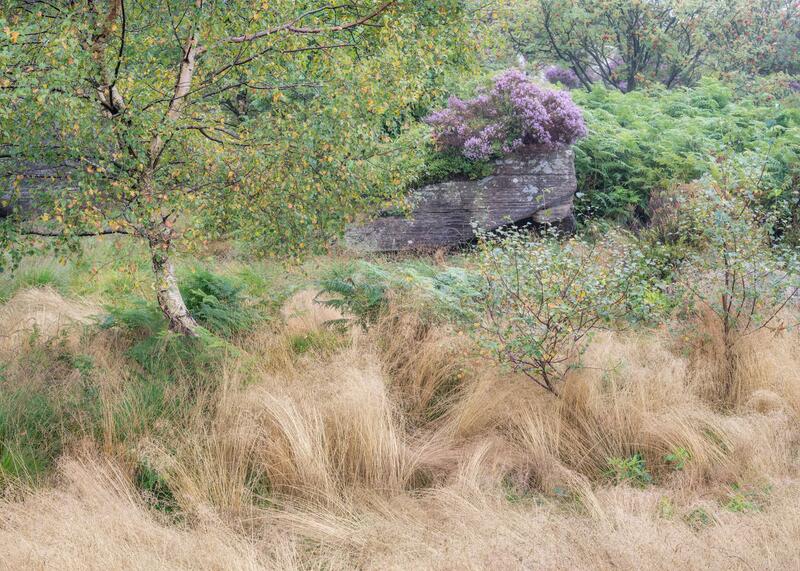 Brimham Moor is a delightrul mix of heather, ferns, grasses, reeds and birch - so much to enjoy, if a little challenging to work into a balanced composition. Not helping my cause were the swarms of midgies - attacking me at every turn. 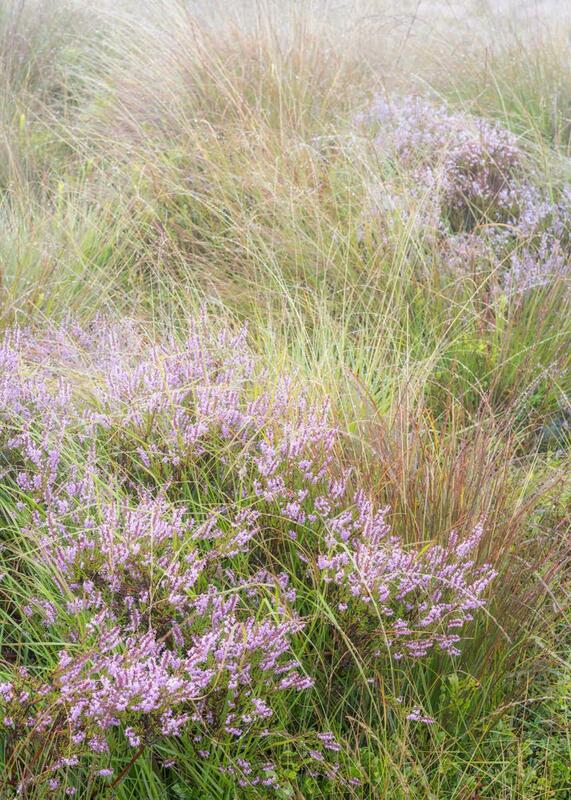 It was a beautiful, still, foggy morning - conditions in which they also thrive, and they were letting me know! My initial exporations took me to the outlying areas of moorland; as I worked my way back, I explored the western edge of Brimham Rocks proper! Of course I've explored it many times but, amazingly, this was my first vist in August. I'm a bit torn between square and native 3:2 format here - they are slightly different compositions and worked accordingly - but there's something different to be enjoyed about both. 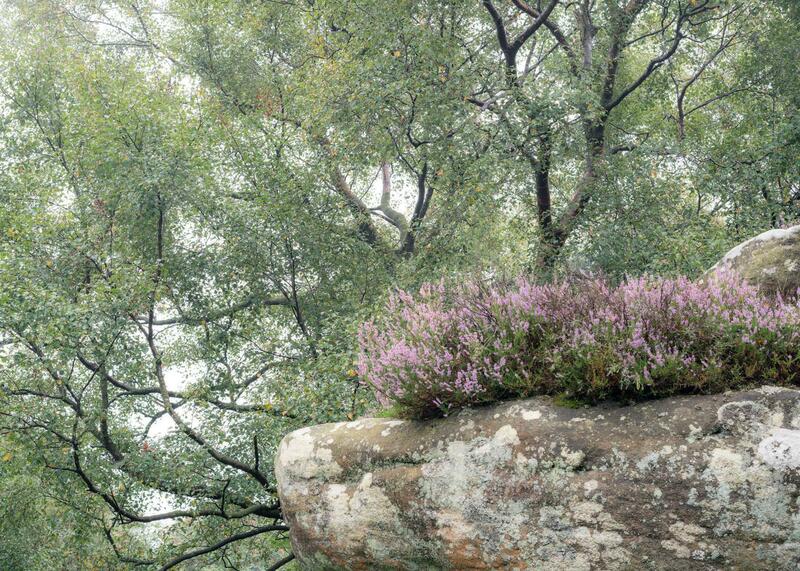 What they do share is a description of the place - that wonderful symbiotic relationship of rock, tree and heather. 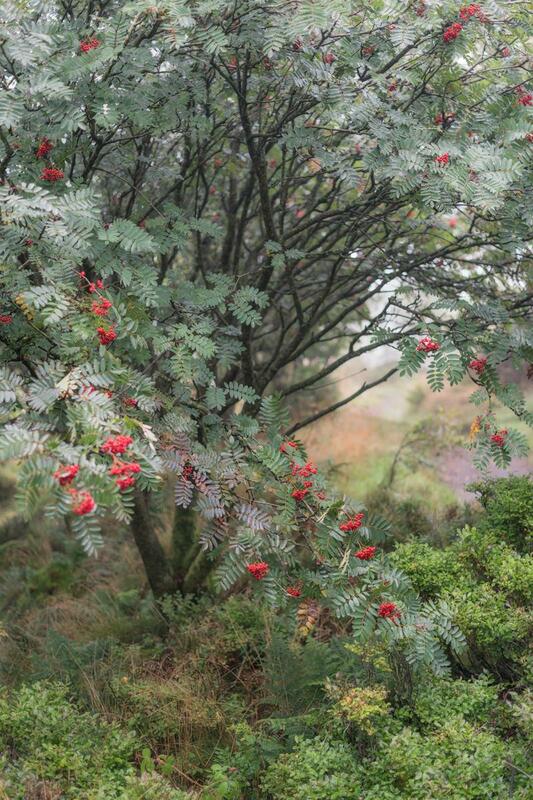 The rowan berries are looking wonderful again this year, albeit a month too early; and the tree above was no exception. The Loxia 50mm at f/2 shows all of its lovely qualities in images such as these. Working my way back towards the car park alongside the northern edge of the Rocks, I enjoyed yet more scenes that reveal the incredible combination of elements able to thrive here. 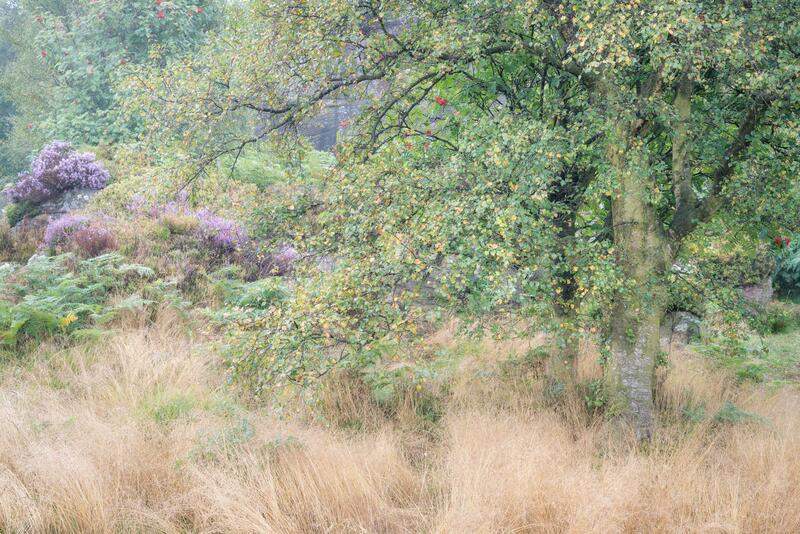 Heather, grass, rock, rowan and birch - all on the cusp of autumn. A little crazy, given August has some way to go - but this has been a strange year for seasons. 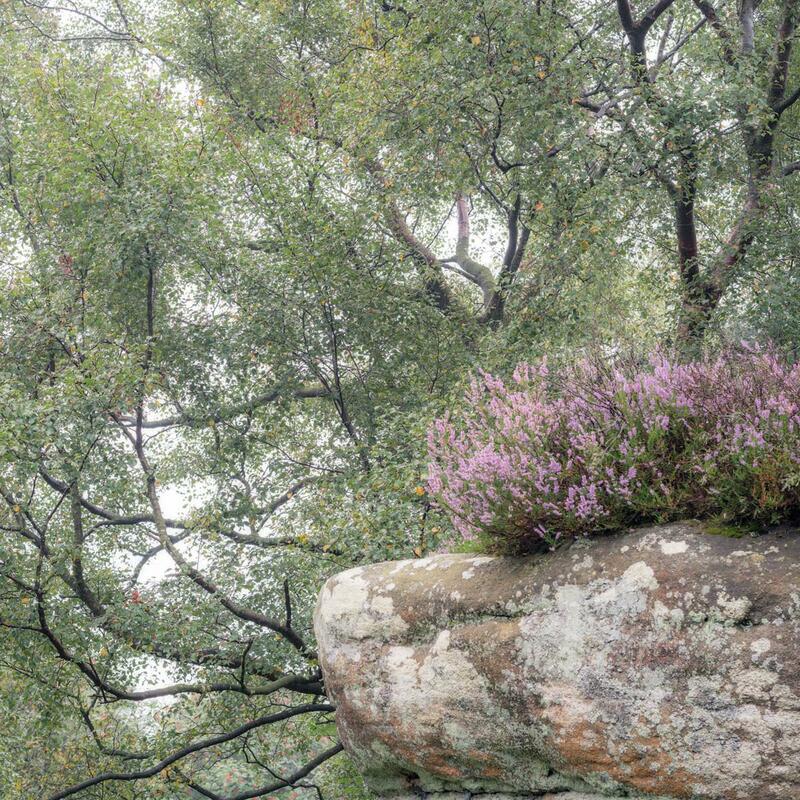 The image above is probably my favourite from the day - again, just for that happy juxtaposition of rock, plants and trees. It's another image made with the Loxia 50mm lens - this time at f/11. There's a lot of talk about whether you want or need front to back sharpness for an image. I enjoy shallow depth of field as much as the next person but, here, I wanted to see every little detail in those wonderful textures. 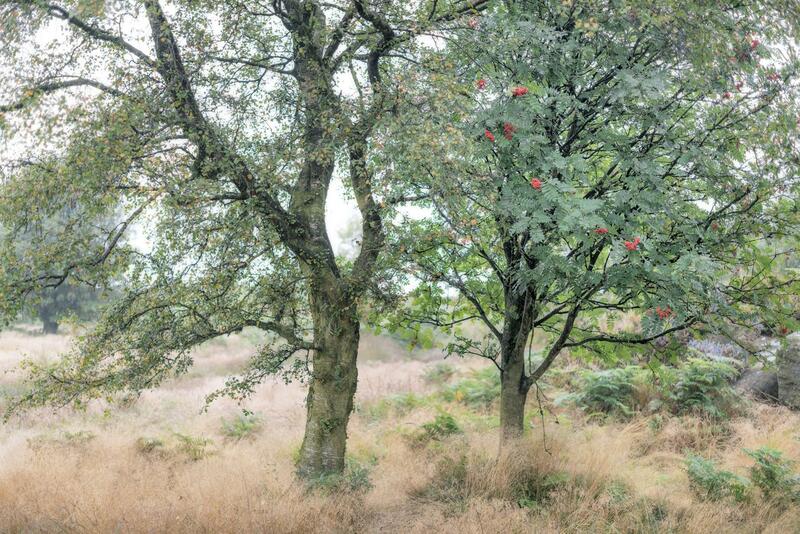 But, just to turn that argument on its head, here's one of birch and rowan at f/2 - the shallow depth of field helping them to stand out against a backdrop that complements, but doesn't demand or need attention. I could have gone on for several hours, were it not for the midgies - my ability to concentrate was plummeting, my language was getting worse by the second, and it was time to go. Besides, the fog was lifting! What an amazing two and a half hours though!